I'm no stranger to a candle/reed diffuser or two; I have at least one if not more in every room of my house because I do like it to smell nice. 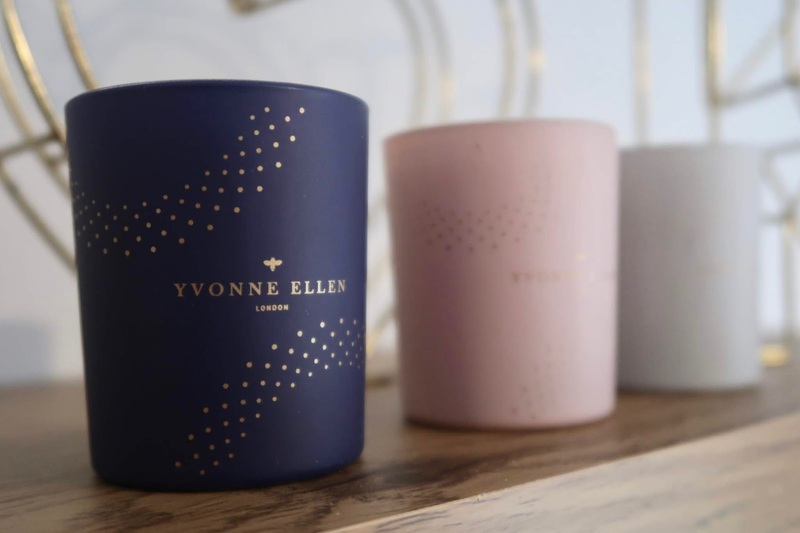 I do think that for anyone who's just moved house either for the first time or to a different house, candles are a perfect go to housewarming present and the new Wax Lyrical Yvonne Ellen collection combines both beautiful scents and gorgeous designs to compliment any decor. 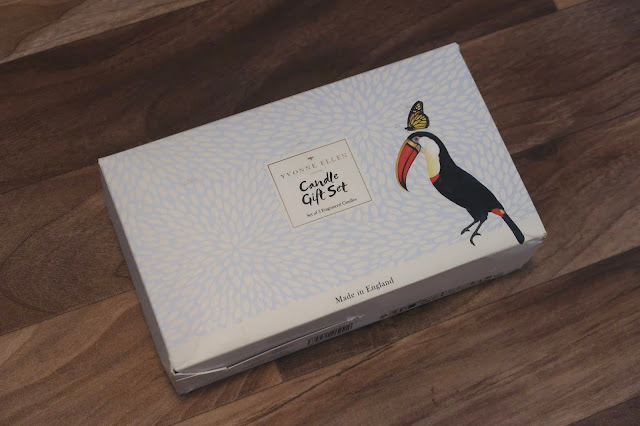 The packaging shows of Yvonne Ellen's quirky illustrations but inside the Votive Giftset there are 3 votive candles each with a timeless, simple design which would suit any decor. In midnight blue, powder pink and grey/white they can either be split up into single candles or displayed as a trio. As you would expect, the scents are just as beautiful as the packaging; Wild Jasmine, Exotic Fig and Vintage Palm which are all gorgeous. 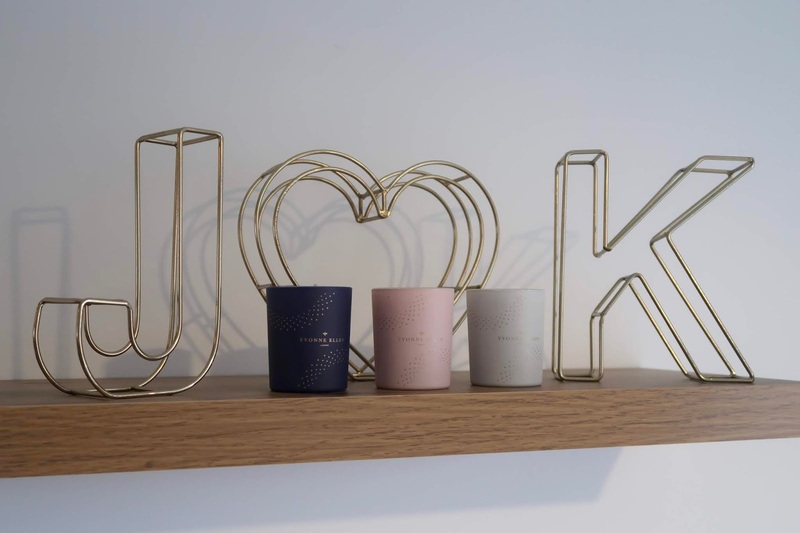 My personal favourite is the Exotic Fig because the fig is nicely subtle but the tonka bean really comes through which I love... the perfect kind of fragrance for a bedroom. Wild Jasmine is more of a musky kind of scent but not in any way overpowering at all which is the beauty of the Wax Lyrical formulation because although they do fill the room with fragrance, they're not the kind of candles that would induce a headache thankfully. Finally Vintage Palm is a lovely fresh scent which would be perfect for any hallway or kitchen. Even when these candles aren't lit their scent is still noticeable which for me is a tell-tale sign of a good quality candle. The beauty of these little votives is that whether you buy them as a treat for yourself or for someone else, it's the perfect introduction to Wax Lyrical. Each of the 3 candles is available in a larger version so if you found one in particular that you really enjoyed you could buy the full size version. All Wax Lyrical products are made in the UK with the highest quality ingredients so you can guarantee that you're getting an excellent quality product and you can be safe in the knowledge that you're supporting a British business. Also, all Wax Lyrical products are vegetarian friendly. You can find the full Yvonne Ellen collection along with their other extensive range of home scenting products on the Wax Lyrical website.